I know John Barth is a well-regarded American writer. Somehow I’d missed reading Barth as an English major back in college. To be fair, I’d focused on nineteenth century English literature so there were many American writers that I missed during those brief four years. So I was excited to be reading Barth for the first time as part of my journey into Maryland. 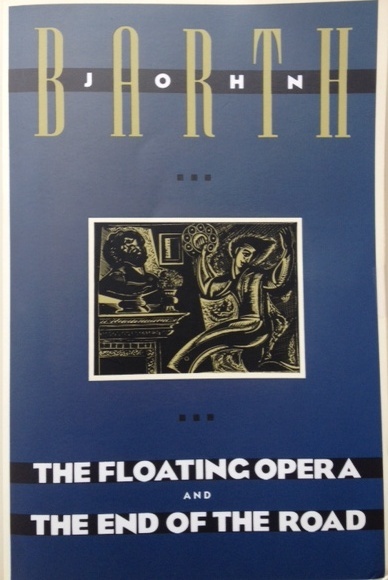 Sadly, The Floating Opera, Barth’s first novel, disappointed me. Interestingly, Barth sets me up for this dissatisfaction in his “Preparatory Note to the Revised Edition.” He tells me that this novel was written in only three months and its companion piece in the following three months. He explains that this was his first novel which he wrote at age twenty-four after “writing fiction industriously for five years.” He also says that he had “deservedly—no success whatever with the publishers” until one finally agreed to publish The Floating Opera, but only after he made major changes in its construction, “notably about the stern.” He’s pleased to note that, in this edition, he has changed the novel back to its “original and correct ending,” but wants the reader to recognize it as “the very first novel of a very young man.” Not exactly a resounding recommendation, right? I feel adequately forewarned. The story of this novel takes place on a particular day (about June 21, 1937) in the life of a then thirty seven year old lawyer, Todd Andrews, when Andrews changes his mind about ending his own life. 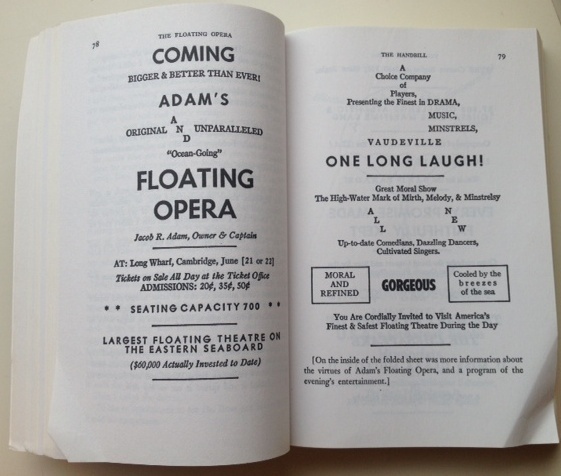 The novel is written in a first person stream of consciousness style. At first I’m drawn in. I like the invitation the author has given me: “. . . come along with me reader, and don’t fear for your weak heart; I’ve one myself, and know the value of inserting first a toe, then a foot, next a leg, very slowly your hips and stomach, and finally your whole self into my story.” Todd Andrews is an eccentric fellow, though he says he isn’t. He works in the law firm established by his father, lives in a single room in the Dorset Hotel, just a stone’s throw from his office on lawyer’s row and the courthouse. He describes himself as “interested in any number of things, enthusiastic about nothing.” Alas, I find myself not very enthusiastic about him. Let’s see if I can summarize the plot. Todd Andrews wakes up on the day in question and, as is his habit, takes a big swig of Sherbrook rye whiskey, a routine he began in college to shake a hangover. As he is splashing water on his face, he has an inspiration—today is the day he will destroy himself by suicide. He feels like he has been made no progress in life over the last eighteen years, that he’s back to where he started then, a single man who’s in love with his best friend’s wife and mistress. His friend knows about the affair, he has encouraged it actually. It is to his mistress that Andrews leaves a farewell note. Then Andrews gives us a brief summary of his life, his first sexual experience, college, military service, law school, law practice. We learn that his father has also committed suicide and he has been trying to figure out why it happened by writing a long letter to his father over the years. He also tells us a lot about his sexual prowess, despite his chronic prostate problem he is apparently a great lover. Of course. The reasons for which people attribute value to things are always ultimately irrational. There is, therefore, no ultimate “reason” for valuing anything. Living is action. There’s no final reason for action. There’s no final reason for living (or for suicide). 6. There’s no final reason to read this novel. On to Maryland! My initial internet search for bookstores in Maryland worried me: are all Maryland bookstores in shopping centers? 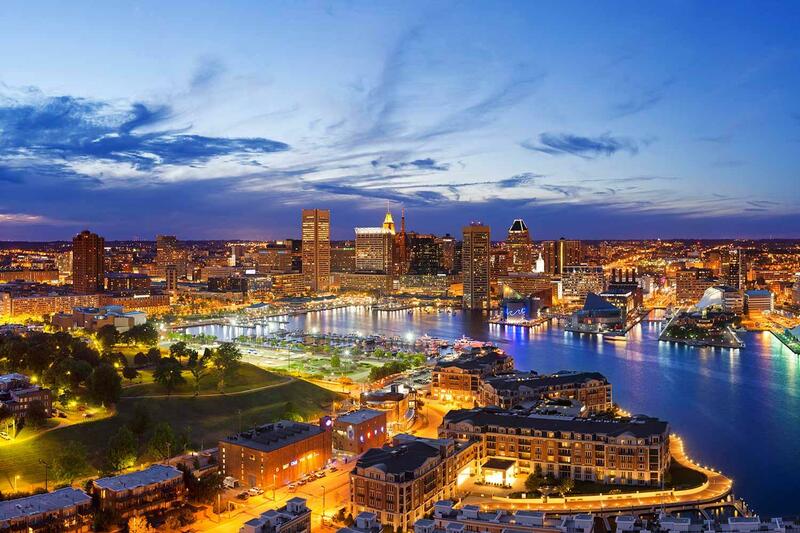 Is all of Maryland merely a suburb of Washington, D.C.? Wait, wait! That can’t be true. There’s Annapolis, which I’ve visited. I found a lovely bookstore there, but it specializes in maritime books, not for me. Their page featured a lovely Robert Frost poem: The sun was warm but the wind was chill. You know how it is with an April day. Despite the fact that I was reading this on a very warm summer day, I appreciated the poem nonetheless. My continued search brought up several bookstores in Baltimore, so I decided to go there. Turns out, my favorite is The Ivy Bookshop. Here’s a place I’d love to visit. The website describes the ideal bookseller as “literate personal shoppers, mind readers, therapists, and bartenders (non-judgmental advice without the booze)” I loved that! Especially a quote from a customer which said, “I stop in at the Ivy after work for my happy hour.” I’m pretty sure there’s no bar or bartender at the Ivy, but I can certainly understand the idea of getting buzzed on great literature. Turns out the Ivy was voted “Baltimore’s Best Bookstore” by Baltimore Magazine and Baltimore City Paper. Its owner, Ann Berlin, has been in publishing since 1975, with all very impressive credentials including editing a publication for the Smithsonian. 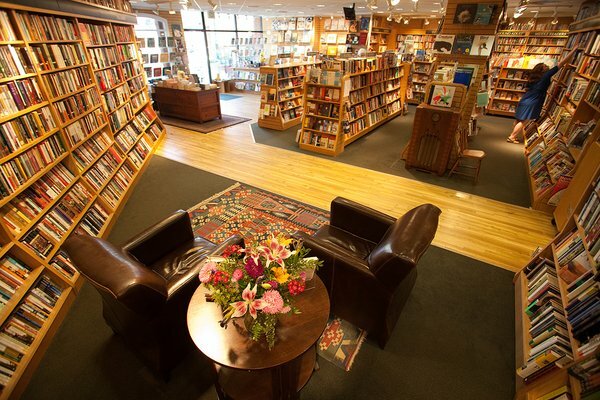 But, more than that, I’m interested that their booksellers are described as knowledgeable and friendly individuals who make a point of getting to know their customers’ personal preferences and recommending books based on that. I spend a little time cruising the book blog, the book recommendation of the day (both fiction and non-fiction) and then I’m definitely ready to make the call. My call is answered by bookseller Nancy Chambers, who definitely fits the bill of “knowledgeable and friendly.” After I explain my project and ask for a recommendation (or two) of Maryland authors she likes, she immediately suggests Anne Tyler. Now, I have read several of Anne Tyler’s books, The Accidental Tourist being one of my all-time favorites. I’m charmed to learn that the author lives in the bookstore neighborhood, and that Nancy has been reading her for years, speaks of her like a friend. Nancy recommends Breathing Lessons which I have not read. She asks if she can call me back in a couple of hours after she has spent some time thinking over other possible recommendations and talking to her colleagues. Yes! This is great—I love it when booksellers are enthusiastic about my project and take the time to consider their recommendations. Nancy and I chatted a bit about Baltimore before ending our call. I tell her I’ve never visited but have watched a few episodes of The Wire. She laughs and tells me that she hears that a lot but assures me that Baltimore is a great place to live and work – no more dangerous than any other city. 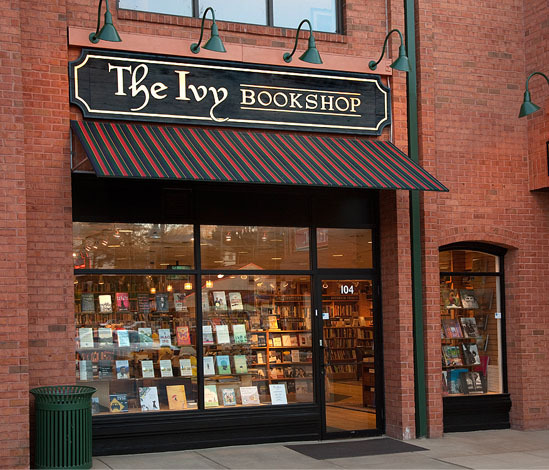 Nancy is also tickled that I want to order books from The Ivy Bookshop when I could probably find the same books in Seattle. I explain that this is part of my quest – reading books from each state and supporting the independent bookstores in those states as I go along – and that I’m having as much fun talking to booksellers as I am reading the books they recommend. “It feels like my birthday whenever those packages of books arrive in my mailbox.” I say. She laughs, tells me she’ll call me back at three. Nancy is right on time in calling me back. She still recommends her first choice – Anne Tyler, and she has added John Barth as her other suggestion, The Floating Opera and The End of the Road. Great! Send them to me, I say. When the package from The Ivy Bookshop arrives a week later, I can’t help but smile. Nancy has taken the trouble to wrap each book in ivy paper with gold ribbon around. It truly does feel like my birthday now. 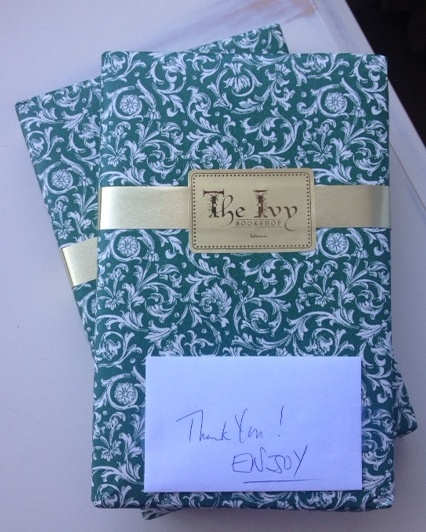 There’s also a hand-written note: “Thank you! ENJOY!” I can’t wait to tear the wrapping off and get reading.